Cellulitis is an infection of the superficial skin layers and underlying tissues. It is mostly caused by staphylococcus and streptococcus bacteria. If not promptly treated, it can be life threatening. Some infections begin without warning and rapidly become severe. Lower legs, face and arms are the most commonly affected areas. The condition can also show up in the mouth, lips, cheeks, throat, jaw and gums. See what is cellulitis for more details on how the condition develops. Symptoms usually involve reddened and swollen skin. Like most bacterial infections, affected areas may feel hot and tender. Severe infections cause red streaks which spread towards the heart. Untreated cellulitis causes systematic symptoms such as lethargy and fever. Due to proximity of the mouth to the brain, medical treatment is very essential. Treatment is mostly done with antibiotics. Most patients are able to recover completely. Sometimes, patients will be admitted into the hospital for at least a day during treatment. Most recover at home, however. Extended infection – infection in adjacent areas such as nasal passages can extend to the mouth. There may or may not be symptoms of the primary infection. 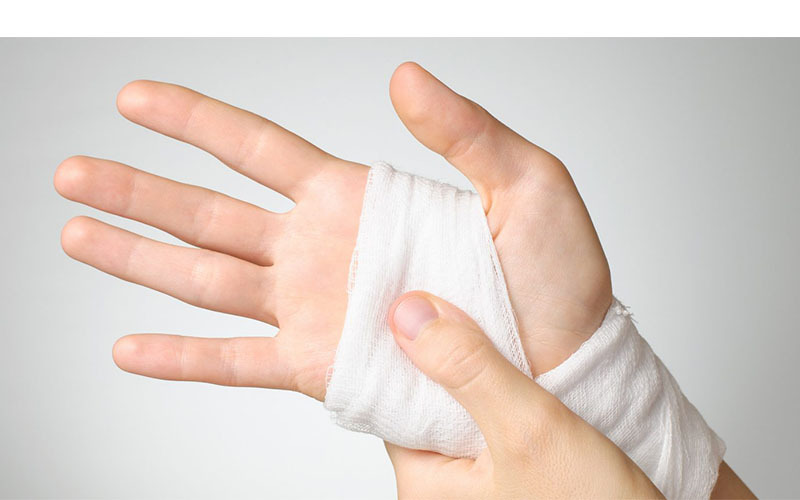 Skin injuries – this is the more common cause. Injuries such as sores, cuts, burns and so on in the mouth may allow bacteria to reach deeper skin layers. In this case, there will be evidence of a recent injury in mouth. 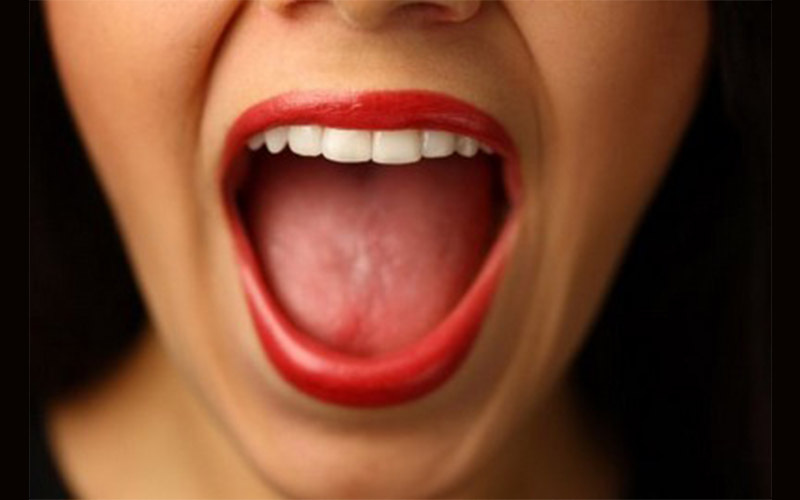 Early symptoms appear on the localized part of the mouth. Swelling and redness will set in first. These will worsen with time. Shortly, the swollen areas will feel hot, painful and tender. It is also common for cellulitis in the mouth to cause blistering or ulceration. Overnight, patients may start to shiver and sweat abnormally. This can be accompanied by flu-like symptoms, nausea and headaches. These are indications of spreading infection. Spreading infection causes damage to adjacent tissues in its wake. As a result, there may be red streaking and darkening of the skin. A doctor may recognize cellulitis from the patient’s symptoms. The patient will be required to provide their medical history for confirmation. It sometimes requires additional tests such as fluid cultures, blood tests and nursing diagnosis for cellulitis. Treatment is done primarily with antibiotics. Mild infections respond well enough to oral antibiotics. Severe ones may have to first be treated with intravenous antibiotics and later followed up with oral medicines. At home, you can try using mouth washes or gargling with salt water. Cellulitis lip infections are not common compared to other conditions that may cause swelling and redness in lips. Sometimes, staphylococcus bacteria stay on the lips and inside the mouth without causing infection. Once there is a break, crack, ulcer or any other form of skin injury on lips, the bacteria may reach soft tissues. Due to the nutritious, warm and wet conditions found under skin, the bacteria will proliferate and spread, causing infection in their wake. Bacteria can also spread from facial cellulitis to the lips. Cellulitis caused by streptococcus bacteria usually develops this way. It is therefore possible for infection to occur without signs of recent injury on lip. Lymphedema cellulitis of lower legs is another example that develops as if from nowhere. Other potential sources of infection include insect bites or stings, animal/human bites and surgery. It is for example possible to get cellulitis from spider bite. People with weakened immunity are more prone to bacterial infections. Immune system can be weakened by diseases such as diabetes and HIV. Medications used to treat these diseases may also weaken the immune system. 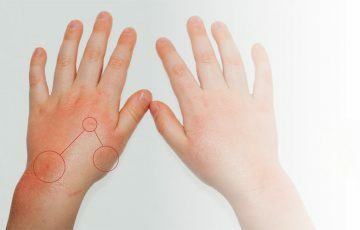 Irritants and allergens such in some cosmetic products and some foods can trigger allergic reactions especially in people with a history of atopic eczema. Allergic reactions may result in inflammation and redness of the lips. Affected lips usually swell and redden. There also may be ulceration or formation of blisters. As a bacterial infection, the swollen areas will feel warm, tender, tightened and hardened. Cellulitis is not contagious unlike conditions such as oral herpes. However, its symptoms do not improve with time. 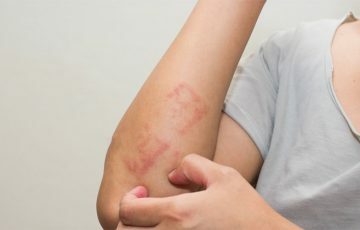 Patients will often be prompted to seek medical attention before signs of spreading infection such as red streaking occur. This is especially because cellulitis on the lip is likely going to be painful. Fever, chills, lethargy and headaches may, however, show up before treatment. Symptoms and the patient’s medical history will be analyzed by a doctor for diagnosis. If confirmation is required, blood test or fluid culture may be taken. Oral antibiotics are primarily used to treat cellulitis on the lip. Most symptoms will have disappeared in a week or so. If not, treatment will be extended. Infections that don’t respond to antibiotics after 2 days should be reported to the doctor. Sometimes, cellulitis is caused by some bacteria that don’t respond to commonly used antibiotics. Such require IV or different types of oral antibiotics. 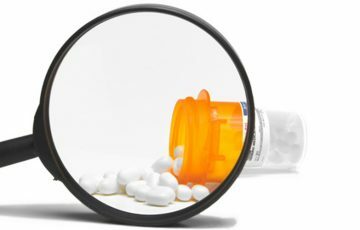 All medications should be taken as instructed by the doctor even when all symptoms have disappeared. Cellulitis cheek infection mostly occurs on outer sides of cheeks as an extension of facial cellulitis. See facial cellulitis pictures for illustrations. Infection may however develop on inside parts. 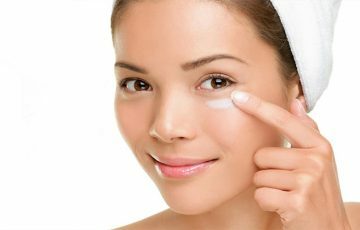 Bacteria on facial skin may enter the skin through injuries such as ulcers, sores, infected acne and so on. Facial cellulitis mostly shows up on forehead, cheeks and around eyes. 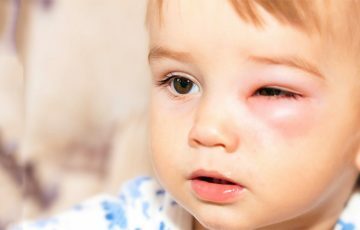 Insect stings or bites may sometimes introduce bacterial infections under the skin. Another source of bacteria is upper respiratory tract infections. Cellulitis that develops as an extension of a primary infection doesn’t require the presence of broken skin. Skin symptoms are usually the first to appear. This is due to increased activities in affected tissues as bacteria rapidly divide and as immune cells fight them off. As a result, redness accompanied by swelling occurs shortly after contracting infection. This is followed by warm sensation and tenderness on swollen areas of the cheek. If cellulitis has developed inside cheeks, there may be signs of ulceration and pain. Cellulitis causing bacteria spread rapidly. Overnight, patients may start shivering, sweat abnormally, feel tired and lose their appetite. These are signs of spreading infection. Without treatment, more serious symptoms such as difficulty breathing, rise in body temperature, sudden drop in blood pressure and shock may occur. Spreading infection can result in cellulitis under arm or groin infection. Diagnosis is essential before treatment can commence. For cellulitis on the cheek, it may be done by physically examining the patient and analyzing their medical history. Confirmation can be done with fluid cultures and blood tests. Pictures taken with imaging tests may be required if there are signs of cellulitis in the eye. Antibiotics are the main treatment options. Diagnosis reports will determine which the best types of antibiotics are to use. In most cases, the medications can be taken at home. Severe cases, however, require that patients receive inpatient treatment for about 3 days. Treatment can also be partly done at home with a warm compress. If available, a home remedy like tea tree oil may help with bacterial growth and inflammation. 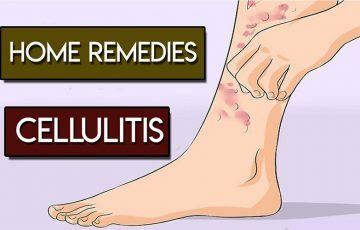 Use of home remedies is however safer when used for cellulitis foot treatment. Cellulitis throat infection is almost identical to a peritonsillar abscess or other tonsillar cellulitis. It is an acute infection which often results as a complication of tonsillitis or strep throat. The infection is most common in young people and children. When you have strep throat, it means that streptococcus bacteria have invaded your throat and are causing inflammation among other symptoms. These bacteria may also infect tonsils, the two lymph nodes located in the back of throat. This causes tonsillitis. Though not commonly, cellulitis on breast can develop as a result of spreading throat cellulitis infection. If either of above described conditions is not treated, bacteria may reach soft tissues and cause further infection. A cellulitis throat infection will develop as a result. Peritonsillar abscess develops when infection has spread away from the tonsils into adjacent areas. Cases of severe strep throat have been reduced by antibiotics. The problem is that most people use the drugs without consulting a doctor. Recently, it has been noticed that some bacteria are not responding to commonly prescribed antibiotics. This has directly been linked to frequent use of the drugs unnecessarily. Rather than risk becoming infected with bacteria that don’t respond to medications, always ensure to check with your doctor before using antibacterial medications. This includes topical agents mostly preferred for vaginal cellulitis and cellulitis thigh infections. Typical symptoms of a cellulitis throat infection such as severe sore throat and uvular deviation are checked for during diagnosis. For confirmation, mass and fluid cultures will be taken. These will be used to determine whether infection is as a result of cellulitis or peritonsillar abscess. Pictures taken with CT scans or MRIs may be used to confirm diagnosis. If not treated, the infection can spread all over the body. This is not to mention that complications such as infected lungs and ruptured abscesses may occur. Treatment is usually done with antibiotics and surgery. Antibiotics such as Cephalexin for cellulitis act very quickly. Symptoms may suddenly worsen after first dose but will subsidize shortly after. Much of the infection will have cleared in seven to ten days. If there are no improvements 48 hours after the first dose, check with your doctor. In case IV antibiotics are needed, patients will briefly be treated as inpatients. Patients should always take medications according to guides provided by the doctor. You find that most cellulitis symptoms disappear before medications are over. This doesn’t mean that all bacteria have been removed. For abscesses, incision surgery is required. Patients are put under local anesthesia during the operation. In some cases, only a needle and syringe will be required to drain an abscess. This however makes recurrence more probable. In most cases, a cellulitis jaw infection will result as a complication of a dental abscess. Dental abscesses are very common. They often do not cause complications. However, infection can spread and become so severe as to cause cellulitis. Each tooth is connected to blood vessels and nerves at its root. Sometimes, bacteria cause collection of pus in a pocket-like cavity at the tip of a tooth’s root. 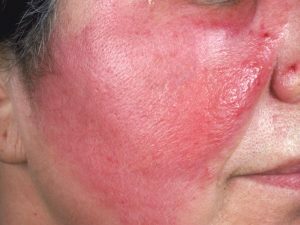 This causes inflammation and redness of adjacent skin. Bacteria can enter through cracks on gum or through teeth cavities. A dental abscess can be identified by its tendency to become more painful in presence of cold or hot substances. Severe abscesses cause pain in adjacent jaw areas and the ear. What is cellulitis jaw infection? 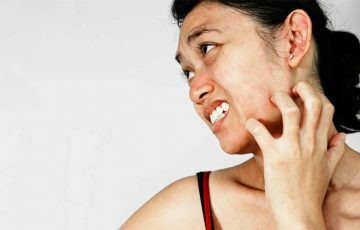 Cellulitis jaw infection develops when bacteria spread to nearby jaw areas. This occurs when there are a lot of bacteria causing the primary infection. It is common in people with severe tooth cavities and who are repeatedly exposed to jaw trauma. The most common cause of severe infection in the dentals and jaw is severe tooth decay. Bacteria can also be introduced during dental procedures. At first, a pulp will appear on the gum. If not removed, the infection will spread to other head and neck areas. 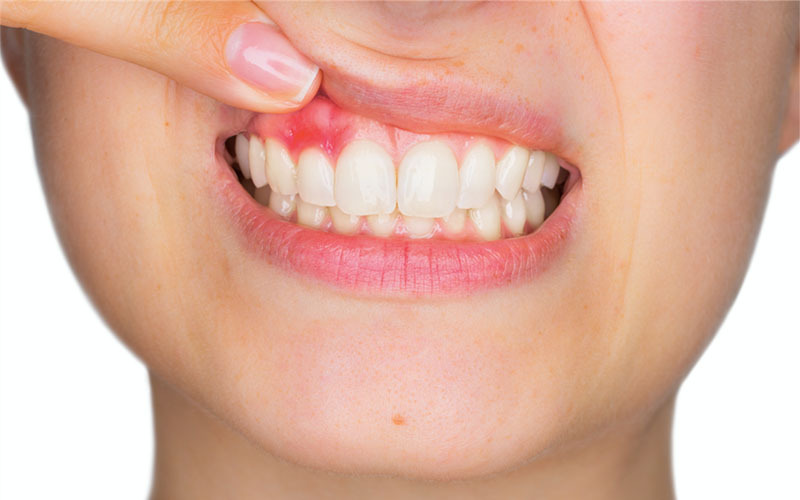 The main symptom of dental abscess that may develop into cellulitis is sensitivity to cold and heat. Pain is also felt when biting or chewing hard things. A severe abscess may weaken affected tooth such that it moves when slightly pushed. 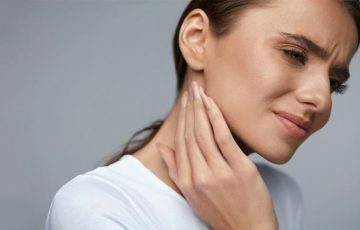 Early signs which may indicate that a cellulitis jaw infection is developing include swelling, reddening and tenderness of a localized part of the jaw near a painful tooth. 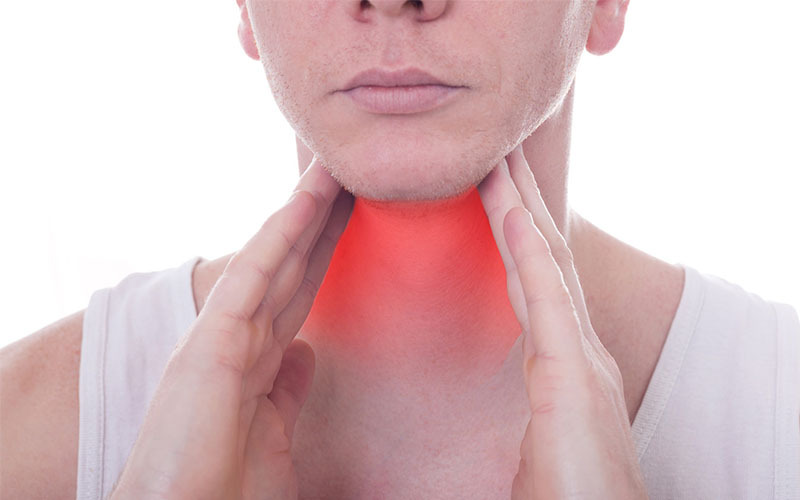 Lymph nodes located under the jaw may swell at either or both sides. Systematic symptoms may include fever, chills and lethargy. These mean that infection is spreading. Physical examination – the doctor will inspect the affected tooth and adjacent areas. They may use cold substances to see how sensitive the inflamed areas are. Imaging tests – pictures taken with x-rays or MRIs will reveal the range of infection and any affected adjacent area. Cultures – a fluid culture may be taken to check for signs of abscesses. If present, the nature of pathogen causing it will be determined. Blood test – a blood test helps doctors count the number of white blood cells in the blood. Normally, serious infections trigger more production of white blood cells. 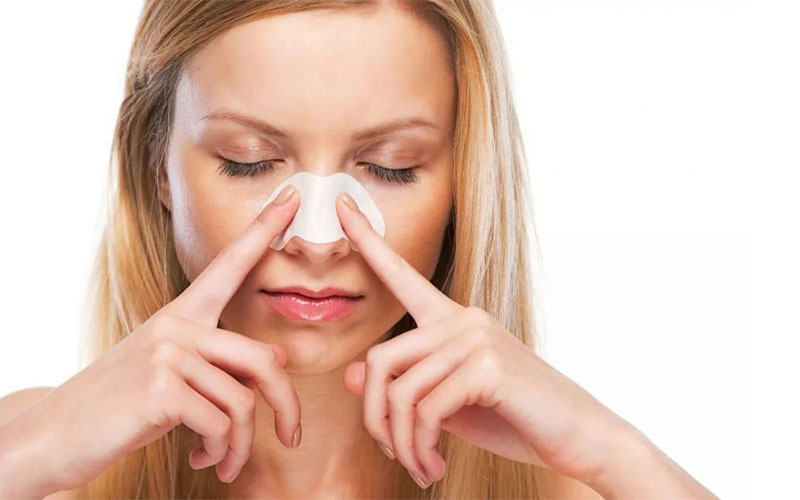 Treatment is usually done by removing the tissue invaded by bacteria. This can be done by first extracting infected tooth or through root canal treatment. The doctor may decide to make an incision and drain the abscess as part of treatment. Antibiotics are often given to stop further infection, especially if there are signs of wide spread infection. Most patients will be treated as outpatients except when IV antibiotics are required. Tooth abscesses are very common. They usually do not cause cellulitis but can if not treated appropriately and in a timely fashion. The most effective long-term prevention measure is to observe dental hygiene. Tooth decay occurs as a result of acids produced by bacteria dissolving the enamel. The bacteria that cause tooth decay feed on food remnants on teeth surfaces and between adjacent teeth. By brushing your teeth after meals, you will not only eliminate the remnants but also neutralize any acidity produced by bacteria. Other forms of dental hygiene and care measures such as going for dental checkups will help. Once a dental abscess has developed, try to avoid cold or hot drinks and foods. Also, avoid chewing on the side the affected tooth is located. You can apply clove oil directly to decayed or cracked tooth to relieve pain. Severe pain may require pain medications such as ibuprofen. Warm compressing works by bringing pus towards the surface where it can drain. It also dilates blood vessels to allow efficient blood circulation. Both may help improve symptoms and hasten recovery. 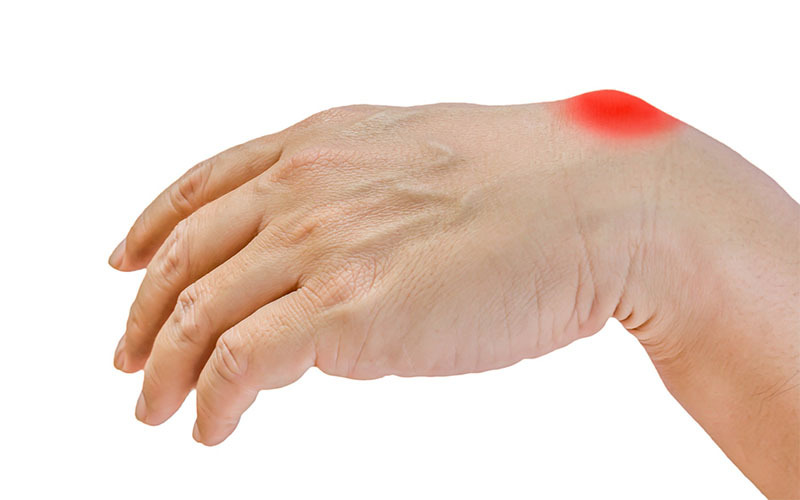 While other cellulitis home treatment options like use of tea tree oil are available, a warm compress is the safest.